You’ve been working out for about a month now, after not having lifted as much as a finger for the previous two years. It’s the longest dead period in your whole life, and let’s be honest, you weren’t looking too great. With a mixture of strength training, cardio workouts, and some intentional nutritional choices, you’ve already started to trim the fat and build the muscle. You aren’t where you want to be by any means, but dang, it feels good to be in touch with your body again. We should clarify: it feels good to be in touch with your muscles, not just the aching joints and bones. The aches and pains of growing older hit you hard the past two years, and the sedentary lifestyle only compounded nature’s grip on your body. 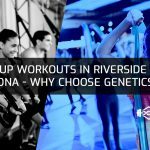 Whatever it might be: tendinitis, arthritis, Repetitive Strain Injury (RSI) — whatever the case may be — it’s amazing how joining a gym and starting to go to fitness classes in Riverside, CA at Genetics Training Facilities not only improves the way you look, but it helps the way you feel, both mentally and physically. 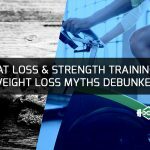 You find that the combination of bodyweight workouts and cardio workouts at our bootcamp workouts and gym group lessons has given you results faster than ever before. Plus, being around a community of like-minded, motivated individuals helps you stay consistent, as you all start to encourage each other more and more once you get to know each other better and better. But guess what? All those reasons, as great and rational as they seem, can’t always win the argument over an extra hour of sleep at six in the morning. It’s tragic that two months of consistent workouts can be derailed by one bad week. It’s a momentum-based thing, too. One bad week can turn into a month really easily, and then you wind up on the couch for another year, wasting away, significantly less happy than you were — yet you don’t even realize it. Don’t be that gal or guy. Here are a few motivational quotes to help you fight the good fight. We’ve talked about this before in a previous blog; endorphins are real. Who doesn’t want to be in a good mood more often? This is true. But it takes a vision, a dream, a desire…to get to the gym in the first place. Not all of us are professional athletes, that much is clear. But it takes a desire to wake up every day, and get your booty to fitness boot camp workout at Genetics Training Facilities. Once you are there, it’s a blast. Duh. This is why we love fit camps, gym groups, group fitness, boot camp workouts, “fitness boot camps near me,” or whatever you want to call them. Signing up at Genetics Training Facilities means you’ll find like-minded, driven folks who can help you reach your goals while you help them. No, we aren’t talking about a therapy session. We are talking about everybody pulling in the same direction, week after week. It’s basically like being on a team. And there is power in that. Again, we’ve mentioned this in a previous post. 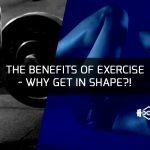 Studies have shown that physical exercise will not only make you feel and look great, but will boost your memory in the long-term and ability to focus in the short-term. If you are stressed out about a presentation, a project, or maybe something personal, becoming consistently physically active will make you intellectually sharper. That’s what the data shows. Control the controllables, and let the rest sort itself out. Guess what? You don’t have control over almost anything in this life besides yourself — your actions and attitudes. How will you respond to adversity at work? Being physically disciplined has a trickle-down effect on the rest of your life, more often than not. You might have heard this before. That doesn’t matter. It’s deep wisdom. You are more capable than you know. Let us help you test your own limits and grow beyond what you ever imagined. We love this one! That is all. Days don’t happen in a vacuum, despite what it might feel like sometimes. Good days lead to good weeks. Good weeks lead to habits. Habits become lifestyles. Lifestyles become character. Character turns into identity. Let’s do this. You need all three to get results and change your life. 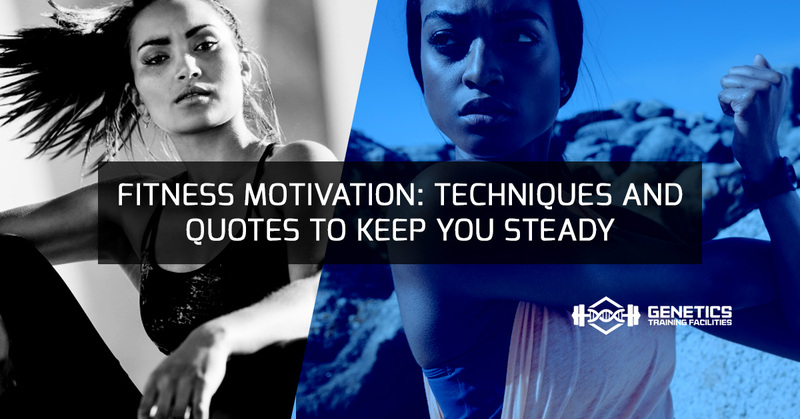 Joining Genetics Training Facilities means you’ll get the motivational help you need to keep you going. We get it isn’t easy. But easy things aren’t usually worth attaining. We believe in you, and we want to help. We hope these quotes have helped you feel reinvigorated. There are two times to work out — when you want to, and when you don’t. Either way, remember your long-term goals. And remember we can help you here at our Riverside gym at Genetics Training Facilities. Experience hour-long group workouts with cutting-edge machines and tracking technology. Get your first class free and see the substance of what we are talking about for yourself! We’d love to have you join us.